With so many VPNs on the market, it can be hard to select the right one to fit your needs. That’s okay – we’ve done the heavy lifting for you, trying out the biggest names in VPN software. Up on deck is SaferVPN. A relatively newer VPN, we tested to sit if it fit our standards. Does it fit yours? Read our review to find out. 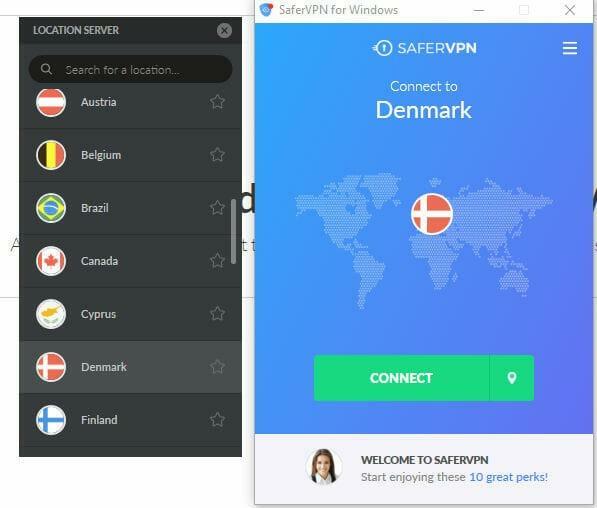 SaferVPN offers users an ample server selection and a proprietary automatic location selection tool that chooses the best VPN protocol based on the user’s system state. But are these features enough to help the program stand out in the crowded VPN marketplace? In this SaferVPN review, we put the solution through its paces to see how it stood up to other tools on the market. SaferVPN’s main selling point is its excellent server network that strikes the perfect balance between size and performance. Being a Netflix VPN is a plus and we also thought that the applications were well designed. SaferVPN provides good customer support that has room for improvement. Customer support is available through both email and live chat. The latter is available 24/7, which sets SaferVPN ahead of many competitors that provide support only during US business hours. Users that prefer to try to resolve issues themselves can also avail of the Guides section on the company’s website. While each major platform is covered, this area could use some work in the form of more screenshots and detail. In addition, although SaferVPN’s support staff are highly responsive, some users have given them mixed reviews for their ability to troubleshoot problems. Here’s what we like best about this lesser-known provider from Israel. It doesn’t boast a gargantuan server list that promises to deliver connectivity everywhere from Antarctica to the North Pole. Instead, the company operates a relatively modest list of over 700 servers that have clearly been carefully provisioned, curated, and tuned up to deliver maximum reliability and – most importantly – speed. We pulled down a connection of a 31.62 Mbps from the company’s server in Denmark and were able to almost replicate the results from others in central and Western Europe. The pre-VPN connection speed from our test box was a little over 40 Mbps. Network consistency was also evident during the testing process: after trying out our eighth server, we still hadn’t come across a sub-par outlier. This speed decrease, of only about 20%, was about the most minimal performance drop that we have seen to date. It would, of course, be disappointing if SaferVPN turned out to be, well, not so safe. Well, that’s fortunately not the case. Firstly, the VPN protocol is optimized to ensure the most appropriate match for the internet configuration, which in most cases will also be the most secure one. This gives users added confidence about the integrity of the data traveling through SaferVPN’s servers. But how about how the company handles users’ personal identifiable information? While no-log providers are always a wise choice for those seeking to maximize online privacy, we can’t help but suspect that as a close ally of the United States, Israel is a riskier location for a headquarters than countries such as Panama that exist in more of a regulatory (and political) vacuum. 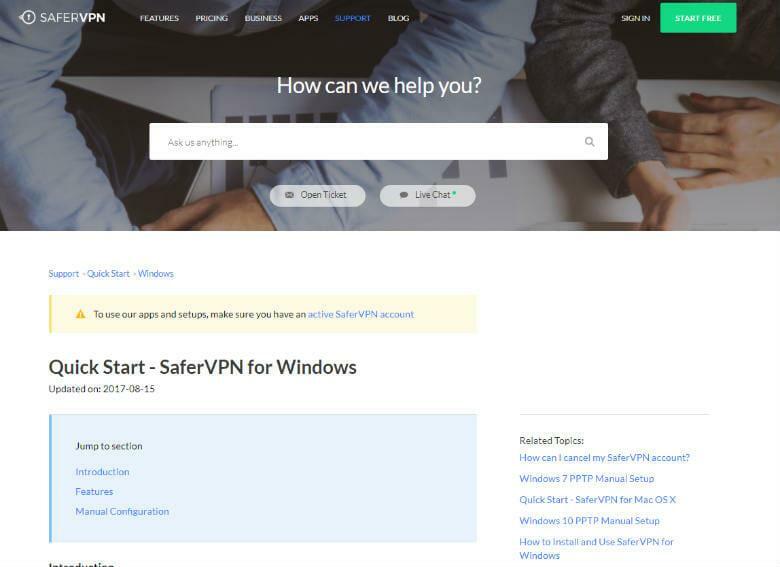 To download SaferVPN, users simply navigate to the download page of the company’s website and choose the operating system that they use to wish the VPN through. For iOS and Android, users can download the VPN app via iTunes and the Google Play Store. 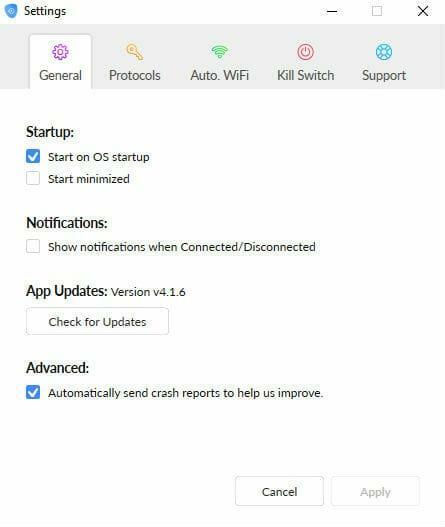 For desktop and laptop users, the app is available for Windows, Mac, as a router (the program is preinstalled on routers for sale through third-party websites), and as a Chrome extension. The Chrome extension is especially useful because (for those concerned with only using the VPN for browser traffic, at least) it means that the system is usable on Linux desktops without the need to make difficult and time-consuming changes to network configuration files. After downloading the Windows installer, we had the program installed on our test machine in under three minutes and in about as many clicks. That’s about as good as we’ve seen in the platforms that we have tested so far. The fact that the downloads aren’t gated behind a membership area as they are with some providers also encourages users to get up and running quickly. Usability-wise, we think that users are likely to immediately appreciate the fact that – unlike many options currently on the market – SaferVPN has chosen to keep its UI rather compact. The program is contained within a narrow dockable window that features five screens (on the Windows application). Options, such as selecting a VPN protocol, are kept as straightforward as possible and users aren’t readily confronted with configuration options (such as connecting via TCP or UDP) that are unlikely to be of interest to the vast majority of users. This approach diverges quite dramatically from that taken by other provides. (Personally, we prefer a VPN that stays out of the way as much as possible so we give this feature a thumbs up. 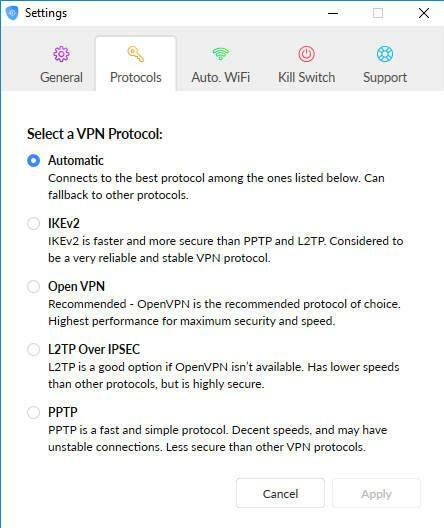 SaferVPN offers a protocol selection screen in which users can chose between automatic protocol selection or chose between IKEv2, Open VPN, L2TP Over IPSEC, and PPTP. This is perfect hoping to use the VPN with a variety of different hardware (up to five simultaneous connections are supported). While older networking cards may only be able to support PPTP, those with up-to-date systems will be able to take advantage of newer encryption technologies such as IKEv2 that can provide faster connection speeds. While SaferVPN bundles a good variety of VPN protocols in its software, it won’t be of much benefit to users who don’t know their L2TP from their IKEv2. 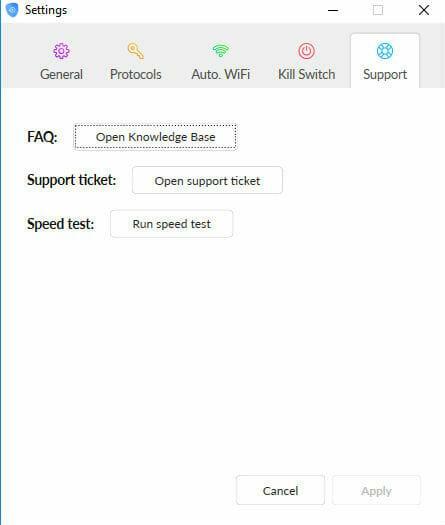 To make the process of selecting the ultimate VPN protocol to deliver maximum performance that little bit easier, the program features an automatic selection tool which hones in on the optimal protocol to support the configuration that the computer is connecting from. The Chrome extension is a boon for almost all users. So long as everything you want to encrypt is being accessed from within the popular browser, why bother with the hassle of a separate program at all? Linux users will be especially appreciative. Peer to Peer (P2P) networks are efficient ways of exchanging large files with other internet users. Unfortunately, because some users take advantage of the technology to illegally exchanged copyrighted material, such traffic is also liable to catch the attention of Internet Service Providers (ISPs) – making it especially important for users to use a VPN to shield their privacy. Fortunately, SaferVPN supports torrenting – but only from their servers based in the Netherlands. Have you ever connected to a Wi-Fi network only to remember, a minute later, that it wasn’t secured and that your data may be in the process of being compromised? You’re in good company, because neither have we. 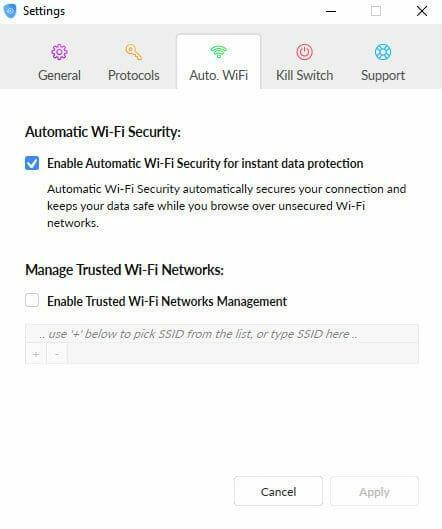 The Wi-Fi protection feature automatically activates the VPN whenever a connection is made to an unsecured network and will help protect users from trusting networks that they shouldn’t. Users also have the option to disable the feature entirely to manually add trusted networks to a white-list. What good is a VPN if it doesn’t let you watch Netflix? OK, maybe that’s an exaggeration, but there’s no doubt that it’s an important feature for many users. It’s also no secret, however, that Netflix are taking aggressive measures to block traffic known to be emanating from VPN servers. The good news is that SaferVPN has not fallen victim to these measures (at least at the time of writing). In short, it works. The better news is that the app also makes the process of connecting to a Netflix-suitable server extremely easy. Users simply select the ‘US Streaming’ server from the server list and will be streaming their favorite show in no time. Users are also able to access the Danish, Romanian, and Hungarian versions of the popular multimedia streaming services, although the catalog will, of course, differ from the better-known American website. SaferVPN is currently offering $9.99/month, $6.99/month (for six months subscriptions), and $5.99/month (for the 12 months’ plan). All plans include a 30 day money-back guarantee. That’s about average for the VPN market and a little more than some other providers although we would have like to see a longer term plan than the annual subscription. For the premium server performance and Netflix functionality, however, we think it’s a reasonable deal. For those that want to test drive the solution before committing to purchase, the company also offers a SaferVPN Free Trial. the comments are pretty mixed when it comes to whether it’s worth it or not, could you advise on a better reviewed VPN? Thanks for reading! We like SaferVPN despite some of the mixed reviews you mentioned thanks to its strong commitment to user privacy. However, we do recongize that different users have unique needs. If you’re looking for an all-around VPN, ExpressVPN is our top choice for providers. Others like NordVPN are more focused on security, while services like HideMyAss prioritize speed. You can find more reviews and alternatives here. Let us know which provider you choose and how it works for you! I’ve been using this service for about three months and can attest to the fact that you can get to Netflix, Hulu and pretty much any site you want. I also torrent a bit, but you are stuck on Dutch servers so your connection options are limited. However, speeds have always been good, so as long as that keeps up, then I’ll stick with them. Not trusting a provider from Israel….NO WAY. might aswell just hand ur browsing data over to the FBI now. Hi! We definitely understand the concern. However, we’ve not heard any reports that SaferVPN shares information with any government organization, nor that it is affiliated with the Israeli government in any way. The company delineates their logging policy, and they do not share any private user data with any third party. However, there are other great alternatives based around the world if you prefer to choose a service located elsewhere. See our VPN reviews here to find an option that suits your needs. Let us know which you select and how it works for you! I do like the fact that they seem to have carefully chosen servers and will auto-connect to them for you, but the P2P limitations are an important drawback that will probably steer me away from this company. Just want to echo what a lifesaver the Chrome extension is. I find that using it directly in browser gives me a fast connection that I literally don’t even need to think about setting up. When I openly browser it just works and that’s the way I like it. The simplicity of SaferVPN alone makes it the best VPN out there right now. I’ll never go back to having to jump through the hoops of opening up a separate program ever again! 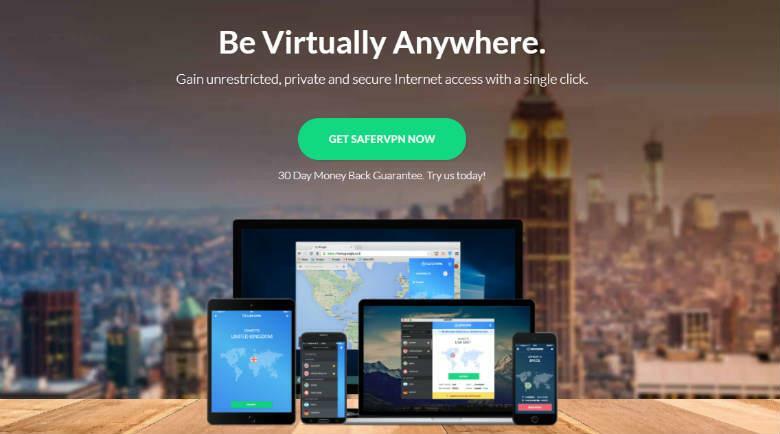 In my opinion, SaferVPN is an expanding VPN provider serving customers all over the world. It has recently upped its game, and is now a VPN service that users can broadly recommend. However, connection speeds and customer support are areas that it could still improve, but SaferVPN has all the privacy and security requirements of a good VPN service nailed down pretty tight. As it isn’t a very popular VPN, isn’t a free trial more preferable than buying a premium version straight away? Safer VPN has a Chrome extension that I desperately needed. It’s my choice for all my devices which include iOS, android, Mac and Windows. It is fast and has a multi-protocol support system. It’s affordable for me and suits my needs which is the perfect balance. If you like to torrent or use any P2P program, this is a solid choice. Yes, they only allow torrenting through the Netherlands servers, but I have never had a problem with it. It’s why I use it over other services that offer torrenting. The only drawback is if you have problems with torrenting, they aren’t going to offer a ton of support. But if you know how to solve your own torrenting problems (non server related obv) then you will be fine. 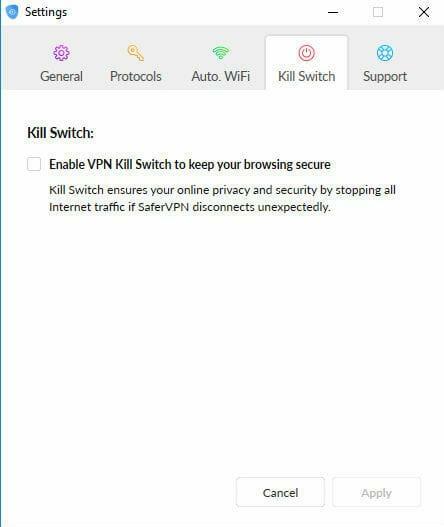 Safer vpn is good while i’m using it on my windows pc and it is cheapest vpn too among all available vpn in the market .Does this vpn works for Mac ? Thank you for your question. Yes, SaferVPN does work with Mac devices. The reason I picked SaferVPN amongst others is because of its unblocking capabilities. I’m no expert but most VPNs won’t work without using any special tricks to make it work. I have a few different devices that I want to use, is it possible to connect all of my phones and computers to a single account? What effect will that have on the download speeds? With the SaferVPN basic plan, you can connect up to five devices, and it will not effect your download speeds at all. It works pretty well just like ExpressVPN. SaferVPN begins by allowing you to run a 24-hour free trial. All it requires from you to start is an email and password. I have used the free trial before and the experience was superb. SaferVPN is a very good VPN. I can now switch my favourite shows between countries without restrictions, no matter my location in the world. When it comes to speed, SaferVPN is on the “meh” side. It’s not *that* fast but it does it’s job most of the time. The reason I picked SaferVPN amongst others is because of its unblocking capabilities. I’m no expert but most VPNs won’t work without using any special tricks to make it work. However, in SaferVPN it will connect just in one click. Also free trial is a win win win. I’ve been using SaferVPN for a while and I’m impressed with the overall speed and number of servers. It works perfectly with all devices and operating systems and the security features are everything you would expect from a superior VPN service. This VPN is affordable and perfect for all gadgets. I have been using it since 2016 and it has never failed me. I like it and recommend it. Really enjoyed the VPN service. Very fast, 24/7 friendly support.Supports PPTTP, L2TP/IPsec, IKEv2 and Open VPN protocols. Very secure, reliable, has a kill end switch and so far i have not noticed any crashing. Awesome VPN product. wrapped in a slick client that secures your online activities. I would recommend to all. 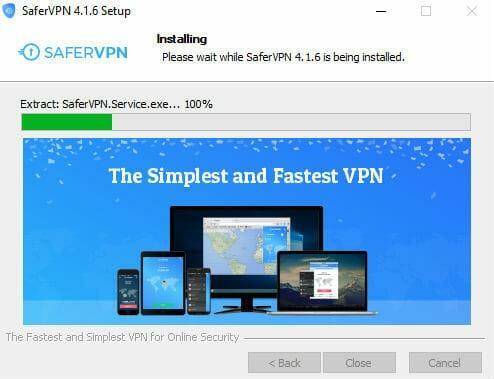 SaferVPN is an excellent VPN service, the connection is quick, the number of servers is more than adequate, and the 256-bit encryption is extremely reassuring. It would be great if they would reduce their prices a little but overall it’s definitely a premium VPN. I’m very happy so far with SaferVPN, it works quickly, it’s fully secure, and 24/7 customer service is always appreciated. I was a bit miffed when I realised that torrenting is only available on a Netherlands server as I use torrent sites a lot, however I had no trouble connecting to the Netherlands and was able to download torrents files quite easily. It’s great to see that a VPN which calls itself “Safer” actually has proper security features. I switched from my old VPN as it did not have a kill switch feature which left me in real trouble when the server failed. Thankfully, SaferVPN does have this feature, which makes it a fully secure VPN service. Does SaferVPN work with Linux? I’m a Linux user and having trouble finding a VPN that’s compatible?? Yes they do. Please refer to our section above –SaferVPN Setup and Usability.